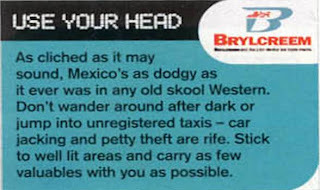 I worked on Brylcreem when they had the strategy of ‘Use Your Head’. 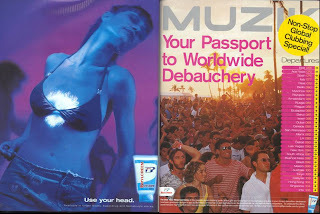 A range of new products (like UV Glow Gel) were targeted at the youth market and aimed to make Brylcreem cool again. 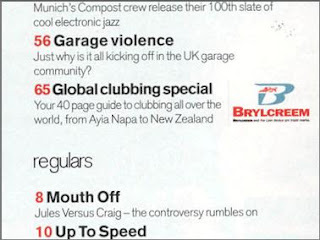 The World Clubbing Guide feature ran across 40 pages, was promoted on the front cover and on the backing board (the issue also came with 2 CD’s). Think this looks great, especially the way the 'Use Your Head' strapline is used throughout the feature!